When you are considering replacing your roof, there are many things to consider before selecting a roofing contractor. Talking to your friends and neighbours about their experiences is a good start, and reading reviews online is also very helpful. Once you’ve narrowed down your choices and start getting estimates, here are some ideas of what to look for and questions to ask, before you make your final decision. Warranty: Most quality roofing materials come with a manufactures warranty, but you want to look for a roofing company that warranties their labour as well. If something unfortunate happens, you’re covered both ways. All reputable roofing companies should offer a warranty on labour. Insurance: Any roofing company you hire should have WSIB insurance and liability insurance. WSIB is workers compensation insurance. This insures that if a worker gets injured on the job, the contractor is entirely responsible for their compensation, not the customer. Liability insurance ensures that any damage done to your home during your roofing job, will be covered by the contractors insurance. Are they licensed: You want to make sure that your roofing contractor is legally licensed to work in Ontario. If they are not, they may not be up-to-date on provincial building codes, which would cause your job to possible not be done correctly. How long have they been in business: You don’t necessarily want to count someone out who is getting started in the business, that’s not what I’m saying, but if someone has been in the business for 15 years, it is likely that they do quality work. 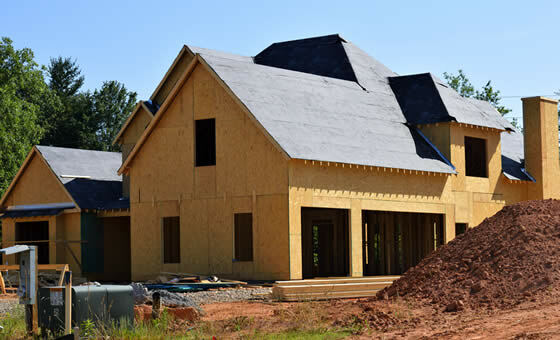 Materials: Don’t be afraid to ask which brand of shingles will be used, and make sure they are of high quality. You can also ask if incidentals are included in the quote. For example, is any plywood included in the quote in case there is a small amount of rot? If one quote is higher than another, it could be because company is using better quality materials, and includes things like the sealants, under-layment, and plywood. So make sure that you understand your quote, so you can make the best informed decision you can. Just because one company comes in with the cheapest quote, doesn’t mean they are the best company for the job.